How sharp is your memory week to week in your cycle? Home > hormonology guide > How sharp is your memory week to week in your cycle? 11 Feb How sharp is your memory week to week in your cycle? Ever wonder why some days you can recall 12-syllable words at the drop of a hat. Yet, other days you can’t even remember the name of the guy who shares your cubicle? As the level of your hormones rise and fall throughout your monthly cycle, they have different effects on your memory, bolstering it some days, sapping it on others. These hormonal effects follow a predictable pattern so you can know how sharp your recall will be every day. This can help you compensate on days when you’ll know you’ll be having memory challenges and take advantage of days when you know your recall will be at its best. Read on to find out what to expect from your memory each week in your cycle…. 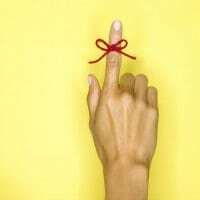 Your memory has two strikes against it at the start of your Week 1: Estrogen is at its lowest point on Day 1 of your cycle (the first day of your period), which brings down your powers of recall. Plus, iron loss from menstruation reduces your mental energy, making it harder to summon information from your memory banks. As a result, during the first couple of days of your Week 1, it can be a struggle to remember the exact words you want to say or recall facts you need. Luckily, this brain-blanking is short-lived. As estrogen climbs throughout this week, it’s ratcheting up your brain powers more and more, making it easy to access the far reaches of your memory in an instant. If you’ve got people you want to impress, say, a job recruiter or first date, you’ll want to see them while in your Week 2. That’s because high estrogen is making your memory the sharpest it will be all cycle long. Clever quips, fascinating factoids and beautiful bon mots fall out of your mouth in a steady stream with hardly any effort from you, making you seem like the smartest, most interesting person in the room. Even better? Thanks to high estrogen, you’re absorbing new information faster and the information you learn is sticking in your brain longer, making this a perfect time to learn a new skill, put together a piece of furniture with complicated instructions or read a book full of nifty facts you can impress folks with the next time your Week 2 rolls around. When you wake up in your Week 3, you’re going to wonder who put the fog machine in the area of your brain where your memory used to be. You may have problems remembering names of people, places or things you know well. You may stop in the middle of telling a story or joke because you can’t recall how the rest of it goes. Or important facts you have to share don’t come to mind when you need them to, for instance, when you’re on the phone with a plumber and are explaining what’s wrong with your toilet. What’s going on? The problem is that estrogen is dipping to lower levels, which takes the shine off your powers of recall. Plus, progesterone is rising and this is a hormone that’s known for muddying up your memory. The good news? By knowing ahead of time that your memory will be at a low point, you can prepare ahead of time when you need your recall to be at its best–like for a big presentation or audition–for instance, by rehearsing more and writing detailed notes to help you along. While you’ll still be able to remember complex things–like how to make your grandmother’s secret pumpkin fritter recipe or how to code a website–you’ll likely be forgetting simple stuff, like where you parked your car, an appointment you were supposed to go to or the directions to a new yoga studio. That’s plunging estrogen’s fault. As the level of this hormone dips, it zaps your short-term recall, making it more difficult for new information to stick. To stay on track in your Week 4, make notes about important stuff you need to know–like where you’ve parked and appointments you’ve got. That way, nothing falls through the cracks despite your memory dip.